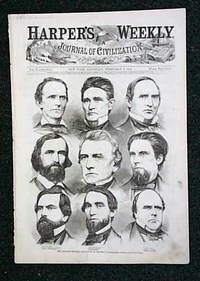 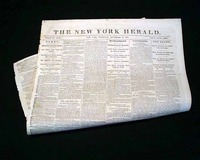 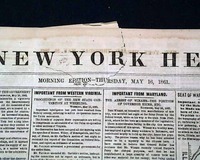 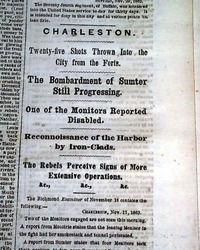 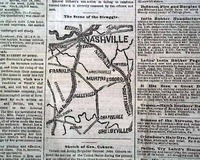 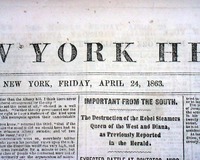 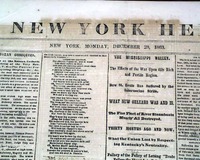 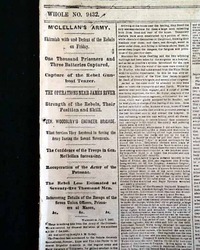 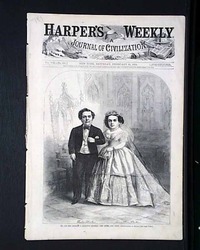 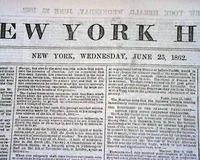 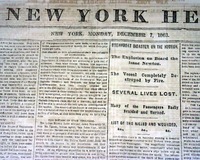 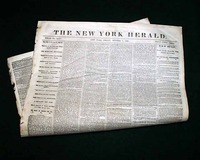 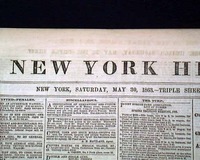 THE NEW YORK HERALD from New York, NY and dated March 21, 1863. 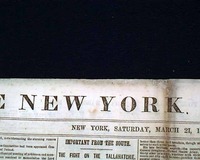 THE NEW YORK HERALD, New York, March 7, 1863. 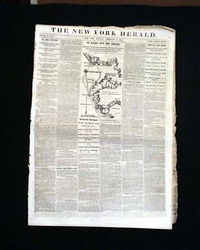 THE NEW YORK HERALD, New York, February 16, 1863. 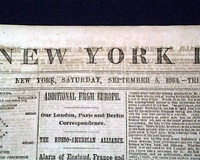 This 8 page newspaper is in nice condition, although the edges are a little rough. 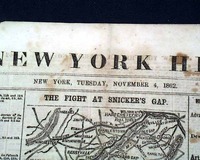 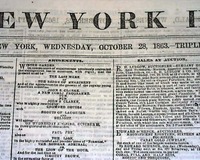 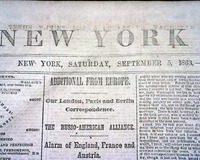 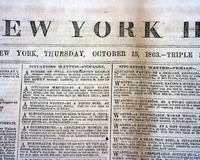 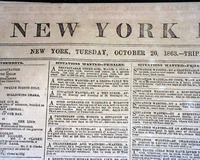 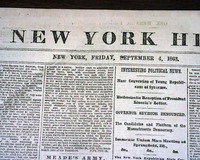 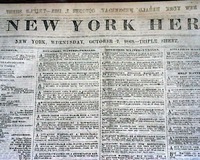 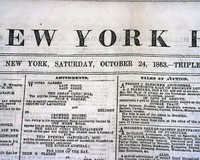 THE NEW YORK HERALD from New York, NY and dated September 5, 1863. 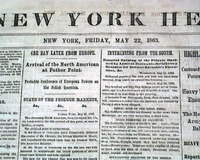 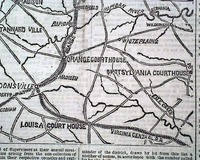 THE NEW YORK HERALD, New York, May 16, 1861. 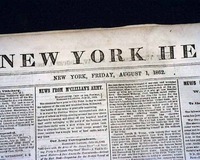 This 8 page newspaper is in nice (not brittle at all) condition due to the use of cotton and rag paper during this important time in U.S. history. 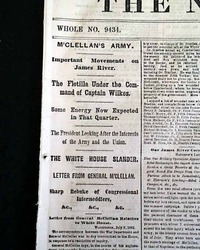 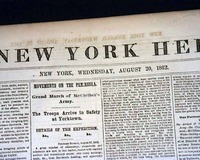 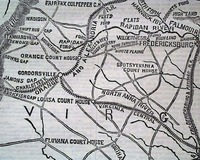 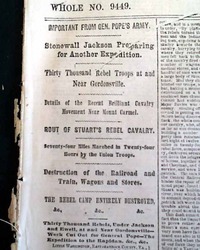 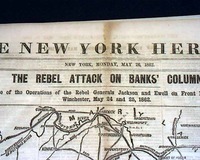 This issue is loaded with interesting Civil War reports from the time it happened with the following one column headlines: "
THE NEW YORK HERALD, October 21, 1863. 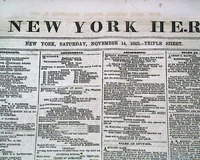 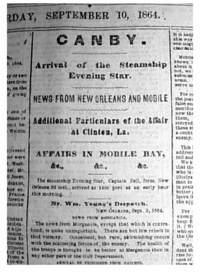 THE NEW YORK HERALD, September 15, 1864. 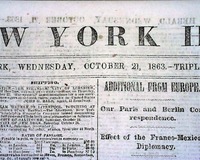 THE NEW YORK HERALD, Oct. 9, 1863 "The Politico-Military Quarrel" "Prospect of a Change in Military Commanders" "Gen. Schofield on the Arming of the Negroes"